BBC America have revealed a brand new promotional photo for the second half of Doctor Who‘s sixth series, which will begin on the channel at the end of next month. 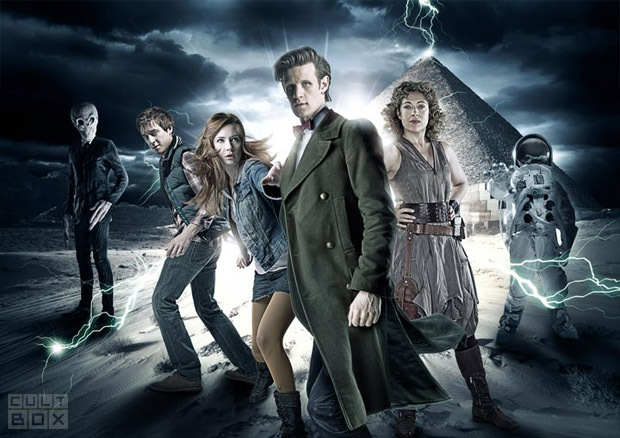 Published on BBC America’s website, the image features Rory, Amy, the Doctor and River Song, alongside one of the Silence and the ‘Impossible Astronaut’ from Series 6’s opening two-parter, with what appears to be an Egyptian pyramid in the background. Steven Moffat’s ‘Let’s Kill Hitler’ will air at at 9/8c on Saturday 27th August on BBC America. As with the first half of Series 6, the episode will air on the same day in the UK.